You have said your “I Do’s”, now it’s time to unwind on your honeymoon and spend some quality time with your spouse. Choosing your post-nuptial travels is kind of a big deal. After all, it’s an experience that you only get to have once, so it should be done right. So, whether you are the newlyweds seeking to explore the ends of the earth together on a safari trek, or relax and enjoy the art of doing nothing on the world’s most beautiful beaches, we’ve got you covered. Here are a few of our favorite honeymoon destinations around the world to help you decide what destination is best for you. Get ready for some serious wanderlust! It’s not difficult to kick the romance up a notch when you are surrounded by 44 acres of unspoiled wilderness and one of the largest natural lagoons in the country. 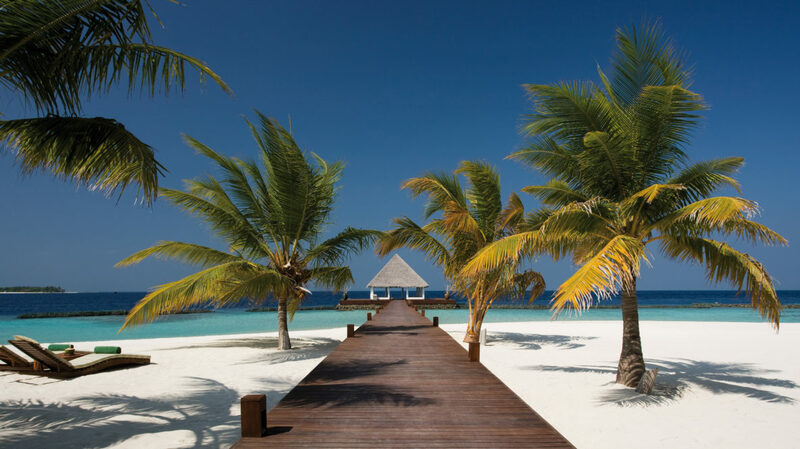 The Four Seasons Landaa Giraavaru is a lover’s paradise located on a stunning UNESCO Biosphere Reserve in the Baa Atoll in the Maldives. From soaking in an overflowing bath with sublime sunset views, to sipping sundowners at the floating Seabar or doing absolutely nothing at all, the Four Seasons epitomizes the perfect luxury honeymoon retreat. Cozy up on comfy cushions while you enjoy a live DJ, tapas-style dining, and admire the exotic marine life below, on the resort’s Seabar. Or, if you prefer something a little more private and intimate, you and your loved one can enjoy in-villa dining with just the two of you. Whatever you desire, in Four Seasons’ fashion, your every conceivable need will be met to ensure your honeymoon will be one for the books! With its year around tropical climate and palm-fringed white sandy beaches, Thailand has long been a go-to honeymoon destination for couples. However, lovers, if you are looking to get off the tourist-beaten path, the Soneva Kiri, the secluded resort on the unspoiled island of Koh Kood, is an idyllic place to start your forever. Whether you are snuggling up to watch a romantic movie in the open-air cinema or stargazing and pointing out constellations at the state-of-the-art Observatory, the Soneva Kiri provides otherworldly experiences for you and your love. Take your dining experience to new heights as you two lovebirds sit perched atop the tropical treetop canopies in a bamboo pod while savoring gourmet cuisines and admiring the wondrous Gulf below. For more down-to-earth experiences, you can take pleasure in private picnic and snorkeling excursion on your very own private island, or wind down with a romantic sunset cocktail cruise. Located on a private island, and on the longest stretch of white sandy beach, the Conrad Bora Bora Nui is what honeymoon dreams are made of. 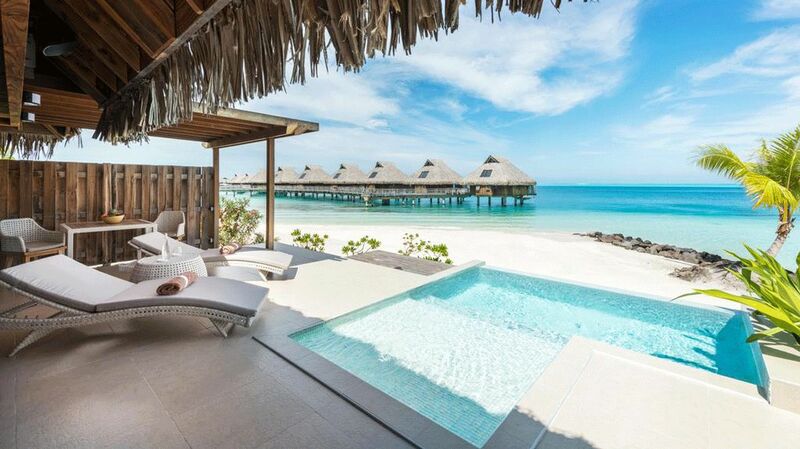 Boasting blissful beauty, Bora Bora is undoubtedly one of the best island honeymoon locations. So, if you are making the long journey to the magnificent island, you should surely splurge and indulge in an overwater bungalow overlooking azure waters. With the majestic peaks of Mount Otemanu emerging in the distance, it sets the perfect backdrop for a romantic escape. Imagine stepping out onto your private deck and taking a morning dip into the warm lagoon right from the steps of your villa, or sipping a sumptuous Tahiti Drink as the sun paints the sky, casting an ethereal glow over your stunning surroundings. Have the woes of wedding and honeymoon planning soothed away with a world-class couples spa treatment, designed to reunite the body and mind. The romance doesn’t have to stop there. Delight in an intimate dinner under the stars in an open-air pavilion, a candle-lit dinner on the beach, or even a romantic dinner for two on a boat on the open waters. For newlywed couples looking to take the road less traveled, you can experience five-star glamping at one of Australia’s most exclusive resorts. 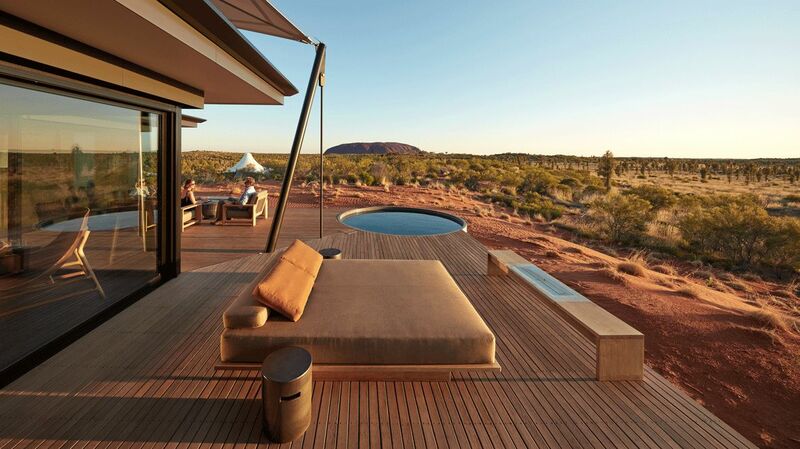 This unique honeymoon experience at the Longitude 131 allows you to explore the luxury of wilderness with bespoke tented pavilions offering unrivaled views of Uluru, Australia’s great natural wonder. 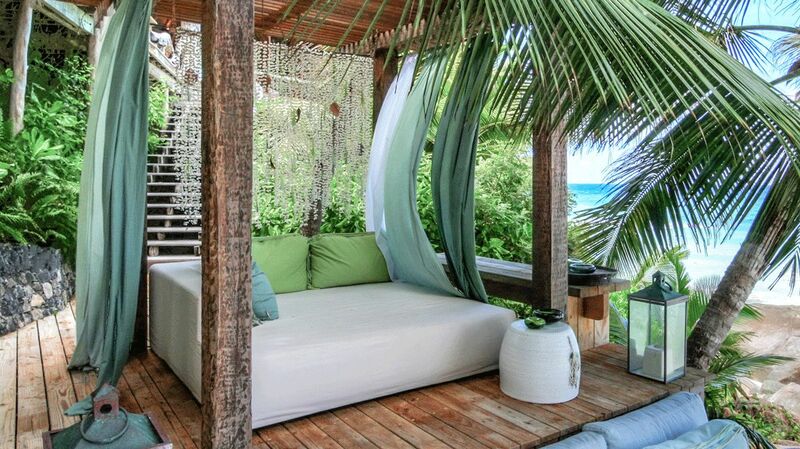 Connect with nature and each other as you sleep under the starry night sky on a plush daybed, on your private deck. If the warmth of each other isn’t enough, an outdoor fireplace will surely keep you warm and cozy. For a truly transformative experience, venture to the Field of Lights where radiant, bud-like stems come to life at night across the expansive fields at Uluru. Couples can also enjoy mesmerizing sunset hikes, or be whisked away on a romantic helicopter ride or simply relax in each other’s company poolside. For an unforgettable honeymoon dining experience, enjoy dinner on the dunes, where you will dine under the starlit night sky in one of the secluded alcoves. If that is not enough romance for you, the Longitude 131 offers signature experience packages to help create the honeymoon of your dreams. Referred to as the “8th Wonder of the World”, the Ngorongoro Crater is a once-in-a-lifetime experience for honeymooners seeking enchantment, adventure and relaxation. 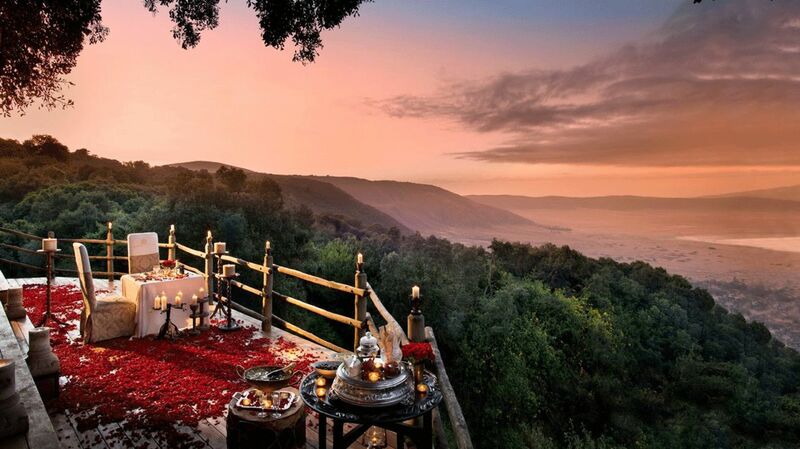 Perched on the rim of the Ngorongoro Crater, the &Beyond Ngorongoro Crater Lodge boasts French opulence and sits on the reserve that is home to Africa’s legendary Big Five, bringing you a mix of Versaille and Maasai all in one breathtaking setting. Couples can explore both sea and safaris with tailor-made, private tours that will take you on a journey through Tanzania’s diverse landscapes. Ever dined in an ancient volcano? Here, you will be able to indulge in an unforgettable gourmet feast with a private picnic on the Crater’s floor, as groups of zebra and other wildlife casually stroll by. Back at your suite, unwind in front of a cozy fireplace, and enjoy the spoils of your private butler who not only ensures your wishes are catered to, but also anticipates any needs, before even asking. The Ngorongoro Lodge cultivates a remarkable experience at a perfect honeymoon location, where all you have to do is show up and everything else is taken care of. There’s a reason why high-profiled celebrities, such as Prince William and Kate Middleton chose the North Island as their honeymoon getaway. This ultra private, ultra exclusive island escape is comprised of just 11 elegant, hand-crafted villas that take barefoot luxury to the next level. Your private villa will serve as a serene sanctuary equipped with a large marble tub, perfect for sharing, full butler service, a private chef, and relaxing plunge pool and day bed. If you two are able to emerge from this haven of pure indulgence, you will find the resort’s motto, “spoil, surprise, personalize” resonates from every facet to every corner of this paradisiacal property. Whether you are listening to gentle waves crash along the shore during a bespoke dining experience on a private island or a candle-lit dinner on top of the helipad, the North Island and its team will never cease to amaze you. However you choose to relax and spend your time together, the North Island Seychelles provides one of the most romantic honeymoon spots to do it all. If you are looking for charming boutique hotel, in one of the top honeymoon destinations in the world, then you will fall head-over-heels in love with the 20 Degrés Sud. 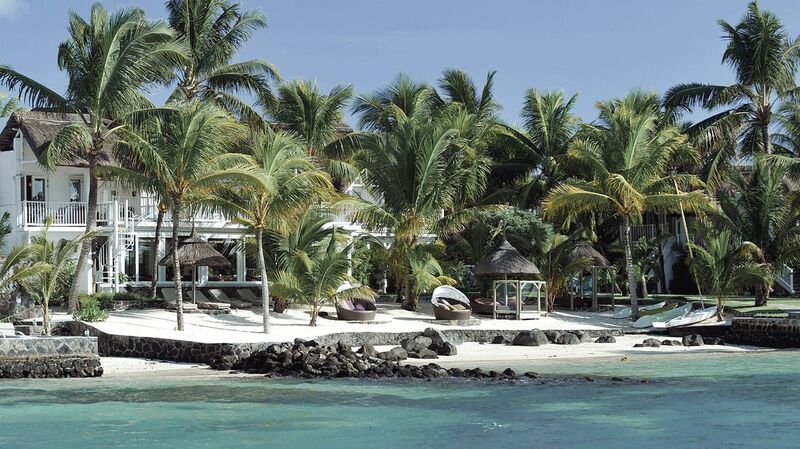 This understated gem is hidden behind a coconut grove and situated on the water’s edge, far enough away from the busyness of Grande Baie Town; yet close enough to still be able to enjoy exploring Mauritius. Delight in one of the Austral Suites, ideal for honeymooners seeking total relaxation with its private plunge pool and large jacuzzi. Take in the the breathtaking views from your private terrace overlooking the Cerulean Sea, and relish in the moment of not wanting to be anywhere else in the world, other than right there with the love of your life. Embark on a romantic voyage on Lady Lisbeth, savoring the local flavors of Mauritius with a romantic dinner on the island’s oldest boat. For the cherry on top, couples can indulge in a couples ritual spa treatment where peaceful harmony and intimacy awaits. 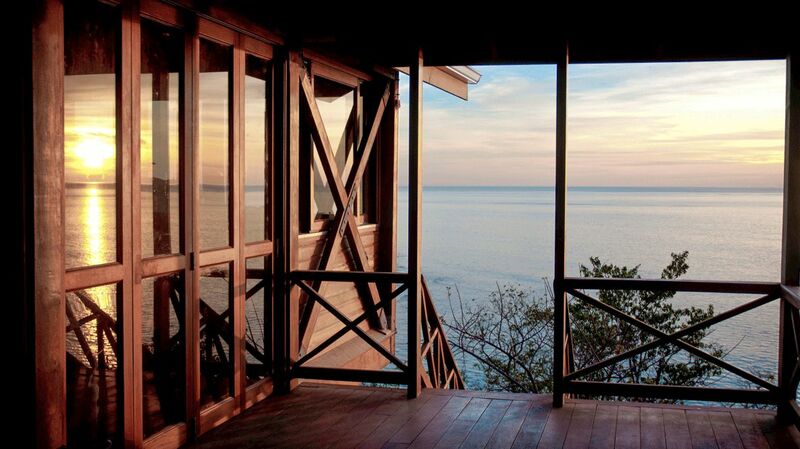 Nestled in the lush hillside of Dominica, the Secret Bay is the perfect getaway for a honeymoon in the Caribbean. Picture an eco-friendly paradise teeming with luxury and unprecedented levels of service, it’s no wonder it was awarded TripAdvisor’s Travelers’ Choice in 2017. Here, you can spend your days basking on secluded beaches, lounging in a hammock in a private garden, or exploring the plenitude of nearby waterfalls, forests, and corals reefs; making this the perfect honeymoon spot where you can do as much or as little as you please. Couples can immerse themselves in the Caribbean culture with personalized culinary classes – after all, it’s been said, the way to your significant other’s heart is through their stomach. To add an extra special touch to the occasion, you can arrange to have a private concert in the privacy of your villa, or while enjoying an intimate dinner. 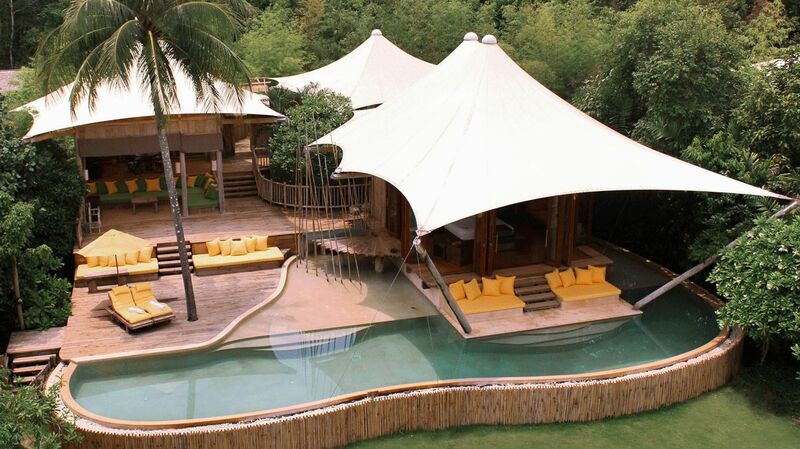 Talk about a honeymoon treat to remember! Paris and romance are essentially synonymous. So, what better way to start your “happily ever after” than in the City of Love itself? As the former home of Prince Roland Bonaparte, the Shangri-La Paris drips elegance and sophistication, ideal for newlyweds looking for a luxe honeymoon escape in Paris. Experience old-world opulence in your room or suite, where you can relax in a deep-soaking bath for two – perfect after a long day of exploring. 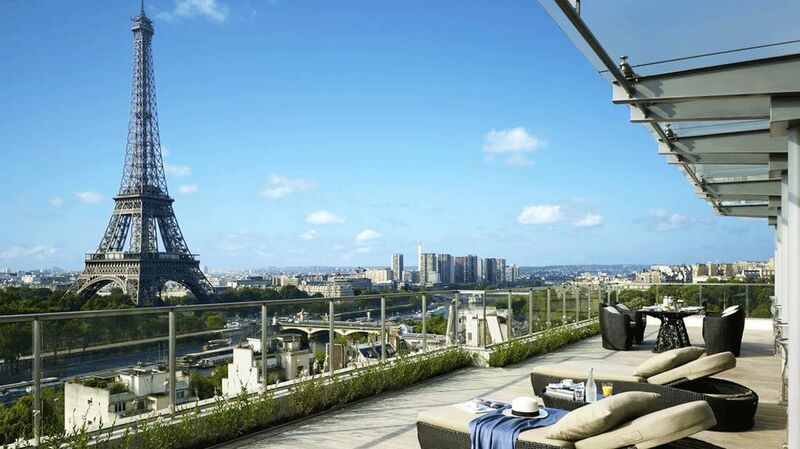 Celebrate your new beginning with iconic views of the famed Eiffel Tower from your private terrace with champagne and chocolate-covered strawberries. Along with heated floors, a rain shower, and even a flat screen embedded in the bathroom mirror, you may never want to leave this paradise in the city. For the thrill-seeking, nature-loving couple looking for an adventurous honeymoon, the Tierra Patagonia should be at the top of your list. Enjoy the contrasting landscapes of Chile where you will wake up in luxurious comforts with breathtaking views of the monolithic peaks of the Torres del Paine mountains. A stay in this unique lodge comes with an array of included activities, perfect for couples who love the outdoors. Enjoy the surrounding mountain views with an iconic eight-mile hike through the Torres del Paine National Park. If eight hours of trekking doesn’t foster a greater sense of closeness, then saddle up for a romantic horseback ride to discover the depths of Patagonia, or perhaps a guided scenic walking tour is more your speed. After all the adventure, retreat back to your cozy quarters where you can snuggle up in front of a wood burning fire or indulge in a relaxing couples massage at their Uma Spa. 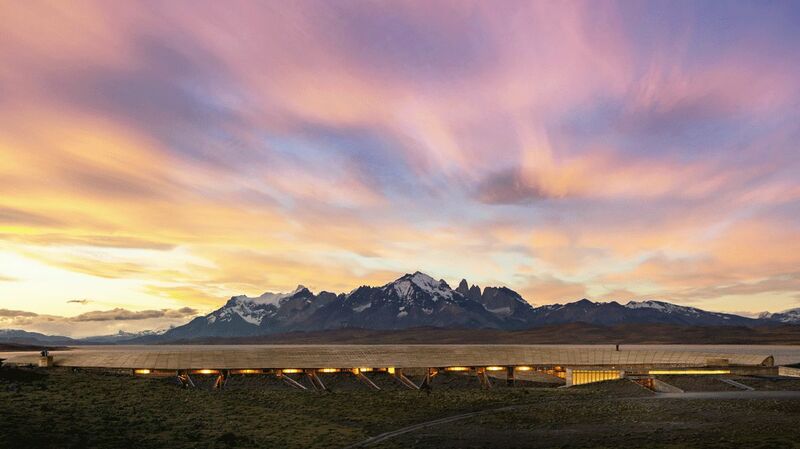 The Tierra Patagonia is the perfect honeymoon destination to combine luxury, adventure, and relaxation – all in one.